Baha'is, the Sole Targets of Conspiracism? 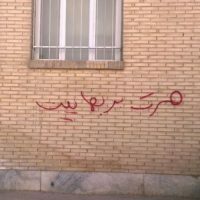 Editor’s Note: Iran Press Watch is pleased to share this translation of a brilliant article published at http://www.iranian.com/main/2009/feb-21, under the title, “When Hate Triumphs over Justice, All are Victims”. In early February 2009, for the first time after two decades, the Islamic Republic of Iran officially accused the leaders of the Baha’i community of Iran of espionage, thus reverting its position to that of the 1980s. A week later, Iran’s Prosecutor-General, Hujjatul-Islam Dorri Najafabadi, accused Baha’is of “espionage, infiltration, and undermining people’s belief,” and asked the Ministry of Intelligence to fight all echelons of Baha’i organizations. These allegations are certainly not new. For more than seventy years, similar accusations have repeatedly been voiced against Baha’is. In fact, the Babi-Baha’i Movement has been the target of ruthless attacks since its very inception in mid 19th century Iran, but until the early 20th century the rhetoric targeted at the faith was religious, rather than political, in nature. It was, first, during the early 1940s that a book titled “The Political Confessions or Memoirs of Prince Dolgoruki” (or, simply, “Dolgorukov’s Memoirs”) was published in Iran. In its preface, the book purported to be a translation of the memoirs of Prince Dimitri Ivanovich Dolgorukov (Russian Minister in Iran from 1845-54), first published in the official organ of the Soviet Communist Party. According to the book, whose Russian “original” has never been found, Prince Dolgorukov had travelled to Iran during the 1830s, entered the ranks of the ‘ulama, and instigated the Babi-Baha’i uprising. The book totally contradicted the well-documented life of Prince Dolgorukov, and made obvious chronological and historical mistakes in its allegations about the lives of the Bab and Baha’u’llah1. Nevertheless, “Dolgorukov’s Memoirs” was reprinted many times, and created a masternarrative that others subsequently deployed. With its political tone, the book, on the one hand, heralded the ascendancy of politics over religion in the mindset of Iran’s Shi’a clergy, and on the other, demonstrated the vast popularity that conspiracy theories enjoyed in Iran. Shortly after the publication of the Memoirs, Fereidoon Adamiyyat, one of the most influential and widely acknowledged Iranian historians of the 20th century, argued in his Book, “Amir Kabir and Iran”, that British intelligence officers were behind a plot which led to the creation of the Baha’i Faith. He falsely claimed that Arthur Conolly, a British intelligence officer who was executed in Bukhara in 1842, had in his “Journey to the North of India through Russia, Persia and Afghanistan” admitted that Mulla Husayn Bushrui, the first follower of the Bab, was an agent working for him. Adamiyyat further concluded that without the aid of foreign powers such a religious sect could not have survived for so long, thus giving further credence to the conspiracy theories of his time and culture3. Although He subsequently came to accept that Conolley had never made such a claim, and removed the allegations in later editions of his book, the influence of his initial claim proved to be lasting among Iranians. In this way, the two 19th century superpowers which had for so long competed to impose their influence upon Iran were in a matter of few years implicated in a Babi-Baha’i plot. While “Dolgorukov’s Memoirs” had linked the Baha’i Religion to a Russian plot and “Amir Kabir and Iran” had elaborated upon its British roots, the establishment of the State of Israel in 1948 and the usurpation of one of the holiest parts of the Islamic world by a Jewish regime quickly translated into a new interpretation of the Baha’i situation. 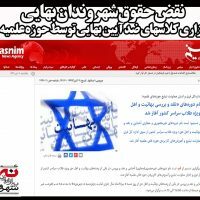 In no more than a few years Iranian ‘ulama “discovered” the links between their old internal foe, the Baha’is, and their new external enemy, Israel. This was not especially hard, as, luckily, the once remote corner of the Ottoman Empire where the world center of the Baha’i Faith was situated, had now become the northern territories of the new state. Finally in 1963, 15 years after the establishment of Israel and during the course of the unrest that swept through Iran in response to a set of far-reaching reforms launched by the Shah, Ayatollah Khomeini and the Association of Iranian Clerics, in two separate declarations, denounced Baha’is as agents and representatives of Israel, and demanded their severe repression4. During the 1960s and 70s almost everything that troubled Iranian clerics was seen as evidence of a Baha’i-Israeli plot against Islam. The Shah, who was harshly rebuked by the ‘ulama for his regime’s strong ties with Israel, was accused of being a Baha’i because of some of the reforms he had introduced, notably his giving voting rights to women, and providing blue-collar industrial workers with a share of the profits earned by their companies. Various cultural events launched by the administration, some of which had clear Western tones, were seen as Baha’i plots to undermine the Islamic identity of Iranians. Iranian ministers and courtiers were almost collectively accused of being Baha’is. Even Iran’s notorious intelligence agency, SAVAK, whose strong anti-leftist agenda had naturally led to its inclination to recruit people with Islamic ties, and which had obvious connections with the Hujjatieh society – the self-professed archenemies of the Baha’is – was seen as nothing more than a Baha’i puppet. Consequently, the 1979 Islamic Revolution came about not just as an uprising against the Shah, but supposedly as a reaction to an Israeli-Baha’i threat. During its first decade in power, the Islamic regime openly persecuted and killed Baha’is. These persecutions, however, caused distress in the international community. In response to the international calls for the persecutions to be stopped, Siyyid Husayn Musawi, then the attorney general of Iran, declared in 1983 that the Baha’is were not being harassed for their religious beliefs but because they were Israel spies. This was despite the fact that by that time it had become plainly obvious that the attorney general’s so-called “spies” could avoid maltreatment and persecution by openly denouncing their faith. The Baha’i community forcefully denied the charges and challenged the attorney general to produce evidence to back his allegations. Failure of the Islamic regime to provide evidence to back its allegations against Baha’is, coupled with an international opposition that steadily gained momentum, finally convinced the authorities to reconsider their stance towards Baha’is. In 1991, a secret government memorandum was drawn up by Iran’s Supreme Revolutionary Cultural Council and signed by Iran’s supreme leader, Ayatollah Khamenei, which provided a blueprint of the policies and actions to which the Baha’i community of Iran was to be subjugated5. Briefly, the memorandum demanded a shift in Iran’s stance towards Baha’is from overt persecution to a more covert policy aimed at depleting the Iranian Baha’i community’s economic and cultural resources – although a reversal towards the 1980s-style persecution now seems to indicate that these covert policy failed to bring about its proposed objective. Iran’s hugely unsuccessful attempt to convince the international community that Baha’is were indeed spies was probably one of the reasons that convinced Iranian officials to review Iran’s contemporary history. The aim of this review was in no way to reconsider age-old beliefs and assumptions, but to generate so-called “objective” facts and data which would ultimately serve to justify those assumptions. It was in light of this conviction that, during the late 1980s, enterprises such as the The Institute for Iranian Contemporary Historical Studies and the Political Studies and Research Institute were launched. A considerable portion of the publications of these institutes either directly or indirectly addressed the extent and depth of the conspiracy which had for centuries overshadowed the lives of the multitudes who had fallen victim to its designs, until it was finally exposed by the Islamic Revolution. Some of the most interesting examples of such literature can be found among the works of Abdullah Shahbazi, the first head of the Political Studies and Research Institute, and one of the main faces behind The Institute for Iranian Contemporary Historical Studies. Shahbazi has, indeed, advanced Iranian conspiracism to new extents. In his view, the unholy alliance between Bahaism and Zionism was not formed during the mid Twentieth Century, but much earlier. Shahbazi, is an ardent supporter of the theory that “Jewish Plutocrats” have for so long been behind a series of plots which have shaped today’s world. He is doubtlessly influenced by the notorious “Protocols of the Elders of Zion”, a counterfeit document first published around 1905 in Russia, but has in no way allowed the Protocols to limit his imagination. In fact, in a speech he gave in Tehran University’s College of Law and Political Science in 1999, he publicly declared that the Protocols was indeed a forgery6. However, he insisted the forgery was done by the Jews and not, as is popularly assumed, by their enemies. In his account, Jewish Plutocrats first conducted and later exposed the forgery to discredit the theories that implicated them in various plots against humanity as no more than a set of paranoid conspiracy theories. In another place7, he also confirms that the “Memoirs” is a fake, but indicates that the forgery was commissioned by the British Intelligence services, thus pointing towards an even deeper conspiracy instigated against Iran and Islam. In his “History of Baha’ism in Iran”8, published in the autumn 2003 edition of the Quarterly Journal of the Institute for Iranian Contemporary Historical Studies, Shahbazi refers to his own research to conclude that the Bab had, during his stay with his uncle in Bushehr, been approached and somehow convinced to put forth his claims by Anglo-Jewish companies operating in those areas at the time. 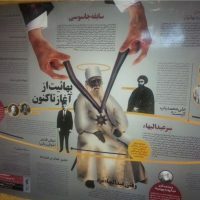 Shahbazi also provides a novel interpretation of the 1839 Allahdad incident, during which many Jews living in Mashhad were forced to accept Islam – thus becoming crypto-Jews. He insists that the Mashhadi Jews collectively converted to Islam without coercion or anything, only to later declare their faith in the Bab to give the impression that Muslims were joining the new faith. Such allegations, charges and misattributions turn Shahbazi’s “History of Bahaism in Iran” into something that, compared to the “Memoirs”, may appear to provide a more convincing objective account of Iranian history, but which, in effect, draws conclusions that are far more incredible than those of the “Memoirs”. In short, Shahbazi’s works attempt to uncover a joint English, Zionist, Parsi, and Baha’i conspiracy that gradually unfolded during the course of many decades, if not centuries. Naturally, the Islamic Republic’s official endorsement of such a mindset for some 30 years could potentially have harmed the intellectual and psychological health of the Iranian community. As it gradually got out of hand, such a paranoid approach has, in fact, already proven to be troublesome even for the most prominent officials operating within the Islamic regime. In 2007, Shahbazi claimed that Saeed Imami, a high-ranking intelligence official who mysteriously died in prison while being investigated in connection with a series of political assassinations, was in fact a Jewish-Baha’i agent. He also accused Ruhullah Hosseinian, once a friend of Imami, and now a close associate of President Mahmoud Ahmadinejad, of being a Baha’i9. Shahbazi has now even implied that the Islamic Republic’s Intelligence apparatus is being directed by Baha’i-Zionist infiltrators10. He has also suggested that recent anti-Baha’i activities have been invoked by these Baha’i infiltrators who are trying to advance an ominous hidden design by bringing the Baha’i issue to the forefront and inviting considerable media attention and sympathy for the Baha’is. While these allegations may indeed sound astounding, they are admittedly dull compared to those put forth only recently by Dr. Mahdi Khaz’ali, son of Ayatollah Khaz’ali, on his website11. Dr. Khaz’ali claims that Mahmoud Ahmadinejad, the President of the Islamic Republic of Iran, is a crypto-Jew. He also makes similar claims, albeit discreetly, about Ayatollah Misbah Yazdi, a prominent Shi’a cleric and Ahmadinejad’s patron. In his eyes, Ahmadinejad and his colleagues are effectively acting in line with Israel’s interests. Such allegations against President Ahmadinejad (whose own view of the world is, incidentally, a perfect example of conspiracism) demonstrate the adherent danger of the conspiracy mindset that has for so long been reinforced by the Islamic propaganda machine. Moreover, this danger has not been contained within the borders of Iran. Two months before his death on June 7, 2006, Abu Musab al Zarqawi, the leading Iraqi Al-Qaeda figure, in a 4-hour recorded speech, reiterated the many accusations voiced against Baha’is by Islamic Republic officials. He was, however, making those allegations, not against Baha’is, but against Shi’as12. Zarqawi was apparently basing his arguments upon deeply-rooted preconceptions and beliefs about Shi’as. For example Shahrastani, in his famous al-Milal wa ‘l-nihal, had long before indicated that many tenets of the Shi’a worldview, including the concepts of Imamate, occultation, and return, were first brought forth by an ‘Abdullah Ibn Saba, a Jew who had converted to Islam13. Also, Ibn Taymiyya had once argued that the Shi’as had collaborated with the enemies of the Islamic Caliphate, thus bringing about its fall[14. But now, Zarqawi was utilizing such allegations to conclude that that the Shi’as were American-Israeli agents operating within the Islamic community. Zarqawi, along with other Jihadists who have in recent years increasingly identified Shi’as as the archenemies of Islam, argue that the Iraq war was in fact part of a scheme conducted by Iran, the USA, and the Shi’as of Iraq, to conquer the Islamic nation. They see the increased influence of Iran after the invasion as clear evidence of the validity of their conspiracy theory. They further regard Lebanon’s Shi’a Hezbollah as an Israeli puppet, which has in effect created a buffer zone to protect Israel while claiming credit for an alleged Shi’a stance against the “Zionist State”. Allegations against Shi’as have even expanded to accommodate the claims that they are sexually corrupt – even that they commit incest15. Although it is generally understood that the Saudi regime has for decades actively endorsed such anti-Shi’a propaganda, it is also true that Shi’a clerics have, since the early 20th century, been active proponents of conspiracy theories. Doubtlessly, the huge investments that the Islamic Republic has made during the past 30 years to market its own brand of conspiracism have also helped to further cultivate this form of historical logic among the Sunnis. Unfortunately the simplest and most distressing outcome has been the rise in attacks that target Shi’as, not only in Iraq, but also in other Islamic countries. What escaped the attentions of conspiracy theorists was the fact that when immediate ambitions undermine truth, when hate triumphs over justice, all are victims. Today, maybe more than ever, Iranian society needs to turn its back on the illusory world in which it once lived, and reassess many of the hypotheses which overshadowed its understanding. Indeed, during the past few years strong steps have been taken in this direction, not only by intellectuals, but also by the general population. Still, however, there are people who prefer the familiar darkness of their own illusory world to a much more colorful but complex reality. Yet, Iran’s government spokesman asserts that the Baha’i movement “is an organized setup linked to alien powers, especially the Zionists”, and its attorney general insists that the Baha’i administration “is evidently affiliated with Israel.” They, however, are unaware of the ominous destiny that awaits humanity, Iran, and Iranians, if they continue to lock themselves within the walls of hatred and deceit. Moojan Momen, “Dolgorukov Memoirs”, Encyclopedia Iranica; http://www.iranica.com/newsite/articles/unicode/v7f5/v7f525.html. If anything the Baha’is are accused of were true, if these people were “wayward” or “spies” or were being paid by foreign powers, then their conduct would not be so principled and courageous and so unafraid of the threat of death and they would not be repeatedly offered by their prosecutors the opportunity to return to their families, their jobs or their schools by simply denying their religious belief. This oppression of Baha’is by the theocracy of Iran is older than 10 rulers from Nasir Ad-din in 1846 through Mohammad Khatami and Mahmoud Ahmadinejad at the present day. If the Baha’is had ever been motivated by anything other than fairness and sincerity and the beliefs they have spoken plainly, then they would never have withstood the 160-years of relentless brutal oppression at the hands of the many changing governments. Conspirators and spies to not behave with the selfless courage of there people.